Legendary comics creator Mark Waid stopped by the Creators Workshop last month to share his thoughts on digital comics and the changing comics industry. 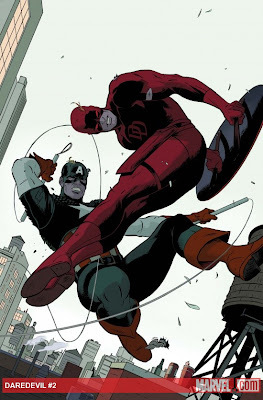 During the session, Waid laid out the economic forces that make it so difficult for a small publisher to make it with print comics, and make digital comics a more viable option. 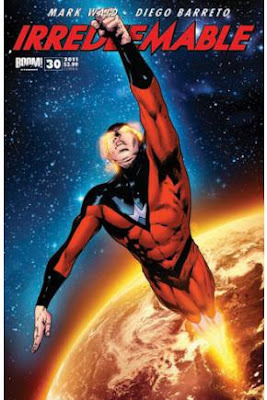 Waid noted that many forms of print media, including magazines and books, face declining sales figures, and comics are no exception. “Sales continue to dwindle on monthly installments, even as they continue to rise on trade paperbacks, and even as they continue to rise on web comics,” Waid said. And as sales go down, printing costs go up. The Big Two publishers print hundreds of thousands of books each month, and the economy of scale helps to keep their costs down. In other words, because they have far larger orders, they are able to negotiate a lower price. But mid-list publishers pay 70 to 75 cents per issue in printing costs, while small publishers and individuals can pay between $1.00 and $1.20 per issue, said Waid, who noted that he was using ballpark figures. On the other end, Diamond Distributors only returns about $1.60 on a $4 comic book. He also noted that digital comics democratizes the medium. The full archive of Waid’s session will be available for several weeks to Comics Experience members. It includes his thoughts on monetizing comics on the web, and why digital creators should start creating in landscape format. 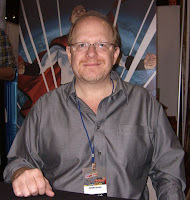 Waid is currently the writer and creator of Irredeemable and Incorruptible, a pair of ongoing titles from BOOM! Studios, set in the same superhero universe. He also recently began a critically acclaimed (and wildly-entertaining) run on Daredevil for Marvel Comics. Creators Workshop sessions take place every month, featuring special guests giving members real-world knowledge that will help them succeed in their comics career. Additionally, monthly Book Club sessions feature guest writers and artists discussing the craft and art of comics, as well as the business side of the comics profession. Later today, writer/artist Terry Moore, will be joining us for a Creators Workshop Book Club discussion of Echo, The Complete Edition. Terry Moore is a legendary creator who writes, draws and publishes comic books through his own imprint, Abstract Studio. Additional guests will be announced soon. There’s still plenty of time to sign up before the next session. We hope to see you there. Convention Panel Notes on the Creators Workshop!